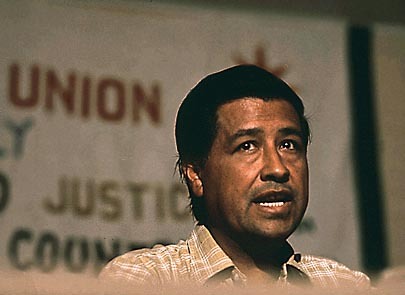 “César Chávez delivers speech in 1972.” Image. National Archives. The American Mosaic: The Latino American Experience. ABC-CLIO, 2014. Web. 19 Mar. 2014. The film César Chávez, set for nationwide release in March 2014 and directed by Mexican actor-director Diego Luna, showcases the life of this American labor activist who co-founded the United Farm Workers Union and led the farmworker movement against agribusiness. The film follows Chávez, played by Michael Peña, and his efforts to unionize farm workers in California, many of whom were migrant laborers from Mexico. It also stars America Ferrera as Helen Chávez and Rosario Dawson as Dolores Huerta. Actor John Malkovich portrays an antagonistic grape grower who leads the opposition against Chávez and the UFW. Click here to view the movie trailer. Stop by the library to find books and other resources on the life of César Chávez, the story of the United Farm Workers union, and the principles of non-violence. “New Film Brings César Chávez’s Story to Life: Overview.” The American Mosaic: The Latino American Experience. ABC-CLIO, 2014. Web. 19 Mar. 2014.